The Belle Isle circuit is incredibly challenging, thanks in part to the sheer number of bumps around the circuit. 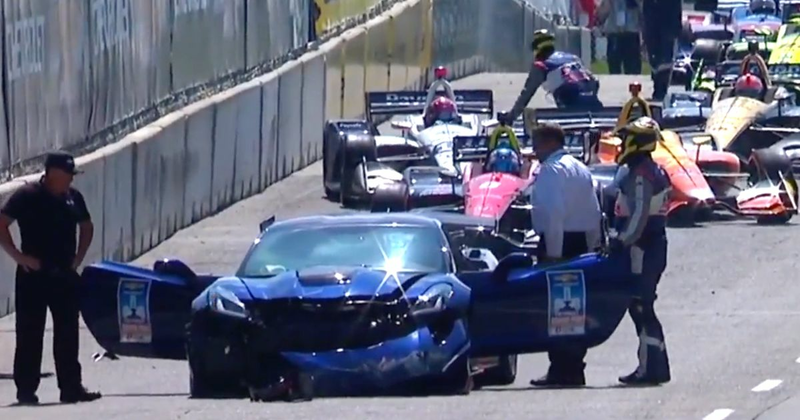 It’s not uncommon for drivers to get caught out, but one car you’d never expect to lose it would be the pace car. The race start was postponed and a second pace car wheeled out for the restart, this time driven by professional IndyCar driver Oriol Servia (which is probably for the best).